Cantemo, a provider of next-generation media management solutions, and NMR, a media technology company, part of the Trams Group, have announced an integration between Cantemo iconik and Brightcove, the leading provider of cloud services for video. Cantemo iconik is a cloud-based platform for managing, sharing, editing and collaborating on video. It keeps media assets organised, secure, and searchable thanks to video intelligence capabilities and support for complex metadata. Using a hybrid architecture, assets can be stored in the cloud, on-premises, or as a mixture of the two, whilst enabling full access to the entire library when needed. 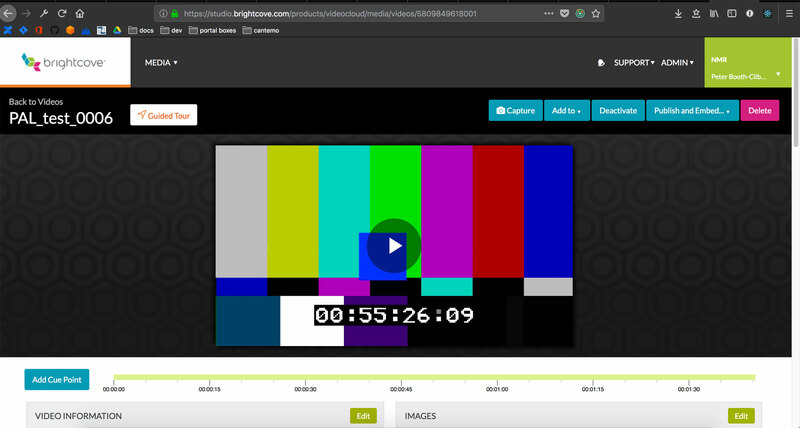 Brightcove’s video platform is a comprehensive solution that meets the full range of video publishing and distribution needs. It simplifies the delivery of content across devices, formats, and platforms, whilst offering content providers the ability to push fast, dynamic user experiences. Brightcove’s flexible and comprehensive API supports a host of integrations to suit every workflow, now including iconik. The integration between iconik and Brightcove allows users to prepare content within iconik before pushing directly to Brightcove for web publication and monetization. 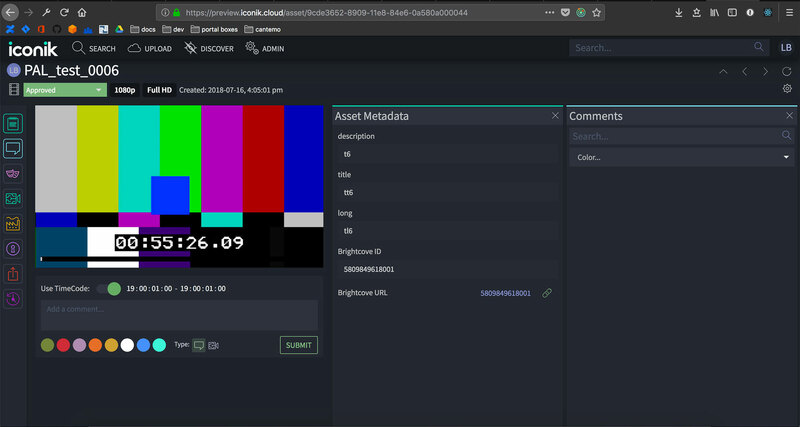 Assets housed within the iconik repository can be ingested into Brightcove, as well as the Brightcove metadata synced back to the original iconik asset. The integration was made possible by systems integrator, NMR. The company has over 26 years’ experience solving media workflow challenges for some of the world’s most recognised brands. To enable the ingestion of iconik assets into Brightcove along with original metadata, NMR used a combination of iconik’s webhooks, AWS Lambda and Brightcove’s API. This allows iconik users to publish content directly to Brightcove and then have a link to the content in Brightcove added to the iconik asset's metadata. Both Brightcove and Cantemo iconik offer a feature rich set of APIs, making it really simple to build integrations. The resulting solution is extremely powerful. The combination of iconik with Brightcove gives our users a streamlined workflow, enabling them to get their content published fast so they can begin to monetise it as soon as possible. Media companies are challenged with ever-growing content libraries. In order to properly monetise them they need to be able to easily discover media. iconik enables them to keep that content organised, and integrating with Brightcove means it can be easily tracked even once published. Since NMR was founded in 1992 it has been at the cutting edge of media technology, helping companies to work better, faster and more efficiently. It has a deep understanding of complex media workflows and the high performance technology requirements that support them. NMR works with companies in many market sectors to solve the challenges of ingest, post-production, tiered storage management, Media Asset Management, workflow automation, content distribution and rights management. Its clients include major broadcasters, global advertising agencies, Fortune 500 and FTSE 100 corporations, utilities, and include some of the world’s most recognisable brands. In 2017 NMR joined the Trams Group. For more information about NMR, please visit NMR’s website. Brightcove Inc. (NASDAQ:BCOV) is the leading global provider of powerful cloud solutions for managing, delivering, and monetizing video experiences on every screen. A pioneering force in the world of online video since the company’s founding in 2004, Brightcove’s award-winning technology, unparalleled services, extensive partner ecosystem, and proven global scale have helped thousands of companies in over 70 countries achieve better business results with video. To learn more, visit Brightcove’s website. Cantemo was established to lead the revolution for next generation Media Asset Management. Its founders, with years of experience behind them, could see a trend emerging for the creation and use of video extending beyond traditional broadcast. This meant that the existing MAM systems would no longer meet the demands of a rapidly evolving market.